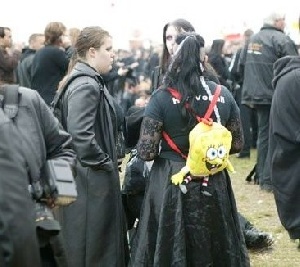 Gothic wearing sponge bob apparel. Well, is does add a bit of color to the dress. What is your background in all this Unbreakable?